, that a Kingdom Hearts Halloween Town Sora Funko Pop! Vinyl figure will be coming out as a Hot Topic exclusive. Thanks to @sw_up_wir20 for the full preview image! This is following the recent news of Funko's Series 2 of the Kingdom Hearts Pop! Vinyls, which include Sora, Riku, Kairi, Final Form Sora, Valor Form Sora, a Shadow Heartless, and a glow chase Shadow Heartless. 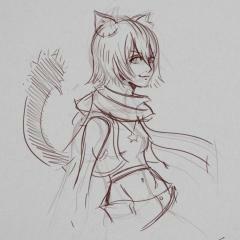 You can check those out here. Also, before this, a Funko Pop! plushie of Halloween Town Sora was made available for pre-order at Hot Topic, and Kingdom Hearts Halloween Town Donald and Goofy Funko Pop! Vinyls were announced to be sold at New York Comic Con 2017 as exclusives, as well as at Hot Topic stores during the time of the convention. 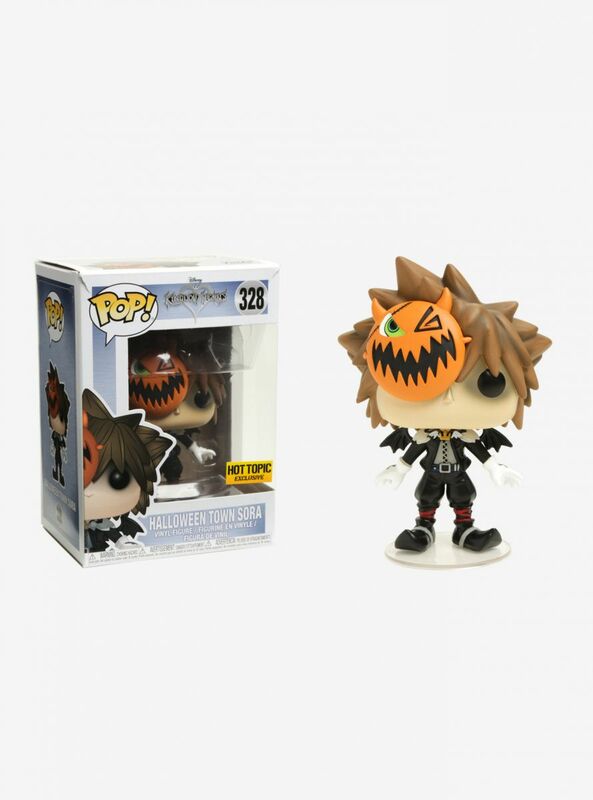 You can check out the Halloween Town Sora Pop! plushie here, and the Halloween Town Donald and Goofy Pop! Vinyls here. Are you planning on picking this Hot Topic exclusive Halloween Town Sora Funko Pop! Vinyl figure when it released? Let us know down in the comments! UPDATE 1: An Organization XIII Mickey Mouse Funko Pop! Vinyl figure can be seen on the back of the Halloween Town Sora Funko Pop! Vinyl box. Thanks to @spoiled.zen on Instagram for the tip! Halloween Town Sora from Disney's Kingdom Hearts is given a fun, and funky, stylized look as an adorable collectible Pop! vinyl figure from Funko - in his vampire form, with a pumpkin mask on the side of his face. Also, new images of the figure from its listing on the Hot Topic website have been added to the gallery with the other images above. Why is Kairi the only one without her Keyblade? That's so unfair. P.S. These figures are so adorable! I'd LOVE to have one! There's also Donald in his Wizard outfit, Goofy in his Knight outfit, and Black & White Pete. And not to mention the special glow chase Shadow Heartless and Tron Sora, Donald, and Goofy.